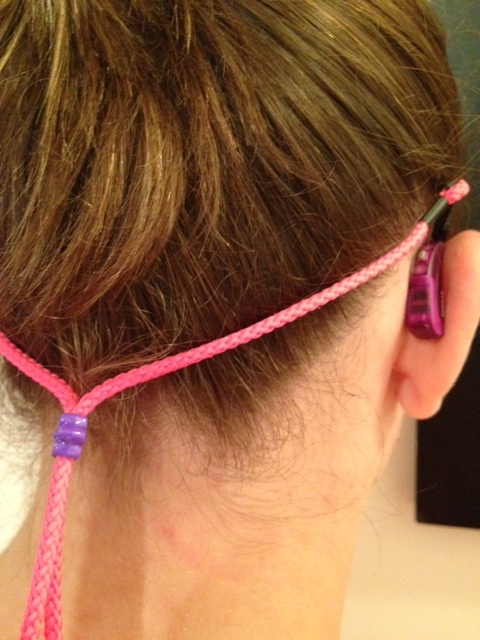 Stretch silicone loop of SafeNSound Clipz over hearing aid, moving it to center to keep hearing aid securely in place. 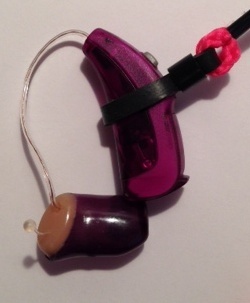 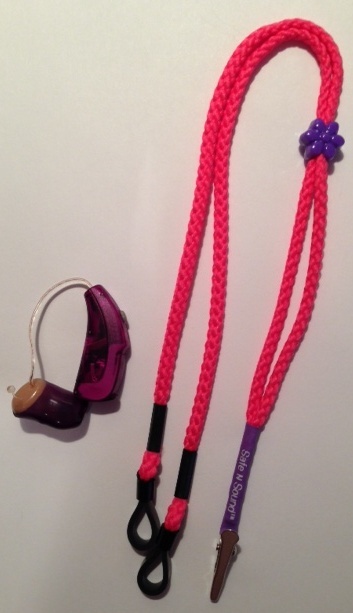 Move silicone loop over j-hook or tubing and adjust to keep hearing aid securely in place. 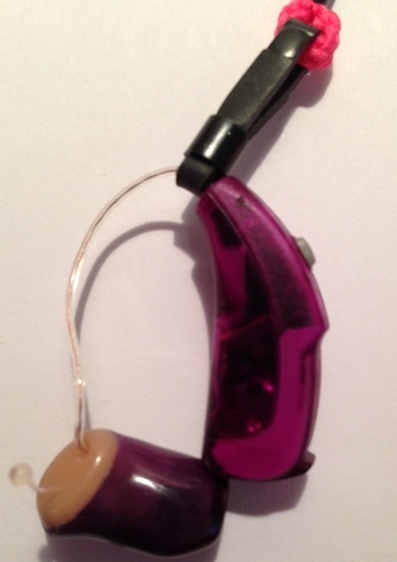 Wear hearing aids and slide adjustment bead to fit snugly for a perfect fit. Attach clip to clothing for added security.